After a successful single release of "River Deep, Mountain High" in Europe back in 1966, 16 years of bad marriage with former husband Ike Turner, a 2 year spending fight in divorce, Tina became really independent. It was time to take control over her life for herself and her stage persona. Tina had to learn a lot in this process. Despite all that, she managed to stick around and kept working. Starting in raunchy clubs and hotels, she put together a Vegas Cabaret show from 1977-1980. Although her freedom was very important to her, she had work very hard to pay her way out of the Ike circuit. Tour promotors were serving bills to Tina for leaving The Revue. Under management of Mike Stewart, Tina was able to record 2 records. "Rough" in 1978 and "Love Explosion" in 1979. Both albums weren’t received well by the public and failed to make it in the charts. Record companies didn’t believe in Tina, and were not sure if she would stay away from Ike forever. Tina’s live shows were always the hot tickets in town and would sell fast. 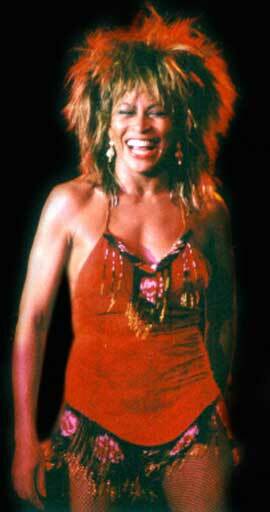 During these naughty and energetic cabaret shows, Tina performed "River Deep". This version was new and totally right for that time. Although the structure of the song was the same as it original version, it sounded a little more funky and disco but it also rocked. Here’s a video of "River Deep, Mountain High" from 1979. Although Tina kept working on the road, all over the world, she still wasn’t satisfied. She wanted more. She wanted to attract other audiences, record songs and live the life she always longed for. After renewing the show from time to time, she wanted a new manager. After a performance with Olivia Newton John doing "Hollywood Nights", Tina’s eye felt on the Australian Roger Davies. She wanted him to manage her to finally attract the audience she wanted and record songs. Roger did believe in Tina but didn’t know how to start with her. First she had to get rid of her cabaret image and stage clothing. This wasn’t right for a rock and roll act. Also there had to be a selection of different songs during Tina’s live shows. Well, Roger was right. Tina picked her old golden dress from the Ike & Tina days and kept a few songs like "Nutbush", "Proud Mary" and "River Deep". After 1981 Tina’s tickets were even selling faster than normal. Her music was improving and her energy was more than over the top of the mountain. "River Deep, Mountain High" became more Rock ‘n’ Roll. Here’s a version of 1981 recorded during a live concert in Prague. Tina shot "River Deep" right into the 80’s rock ‘n’ roll scene. After a concert in New York 1982, which was taped to be released on video, MTV picked up the song and broadcasted it regularly on TV. In 1983 Tina’s show was still going strong and after working together with the Heaven 17 group, Tina became more and more popular. With a hit record on the charts and still touring all over the world, she became a rock ‘n’ soul lion. Belting out the songs during the shows and the audiences belting them right out with her. After a concert in Stockholm that was very different from her own concerts, Tina belted out "River Deep" and a few other songs. Here’s the version with a big band from Stockholm. After Tina’s single became a hit on both sides of the ocean, record company Capitol became interested in her again and offered a deal for making 3 albums, but the 1st album had to come up very soon. In the beginning of 1984 just before recording the album Tina was still on the road with her show and singing "River Deep". Audiences became more wild with this force of nature right in front of them. Here’s a clip of "River Deep" in Den Bosch, The Netherlands. 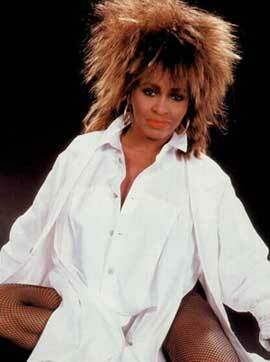 During the spring of 1984, Tina recorded the "Private Dancer" album which would be released later that year. The album became a worldwide success and started of the Private Dancer Tour with Tina still singing "River Deep, Mountain High". This time with a complete and experienced band which improved the song more and more. You can watch the clip here, shot in Montreal 1985. 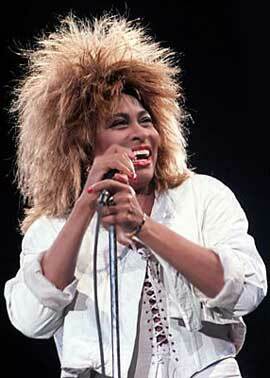 In 1985 Tina was a world wide superstar and was as busy as ever. Recording duets, touring around the world, shooting a movie with Mel Gibson, writing a book and recording her second album "Break Every Rule", followed by a huge promotion of the album in 1986 and an incredible world wide tour in 1987 and 1988. Although there are rumours of Tina performing "River Deep, Mountain High" during the Break Every Rule Tour, we can not prove that she did. The song wasn’t steady on her setlist in this period of her career. 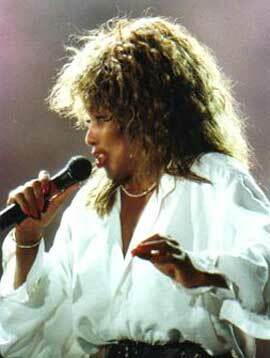 However a live version of the song was released on her live album in 1988, "Tina Live In Europe". The song became a B-side for the single "Tonight". This "River Deep" version of the album "Tina Live In Europe" was probably recorded during her concert in Birmingham in 1985. Tina’s 3rd album was recorded in 1989, called "Foreign Affair". Tina announced this would be the last time she would tour and was saying goodbye to the audiences. Tina was also invited for the Rock and Roll Hall Of Fame Concert where she of course performed "River Deep, Mountain High". Here’s the video of this great rare version of the song. Tina was a huge star through the 80’s. Her breathtaking songs were travelling with her through this epic decade. This isn’t the end of "River Deep". Read the last part of our "River Deep, Mountain High" 50th year celebration. We will take you further on, on our "River Deep" journey through the 90’s, up until the last time she performed the song. You will also read about the dramatized scene of the Biopic Movie and the induction of "River Deep" in the Hall of Fame. Stay tuned! !